I 1. Leave granted. Grievance in these appeals is against denial of bail pending trial/appeal where appellants have been in custody for a long period. 2. In the first case, the appellants have been in the custody since 4th August, 2013 on the allegation of having committed offence under Section 21(c) of the Narcotics Drugs and Psychotropic Substances Act, 1985 (the NDPS Act). Their bail application, pending trial, has been dismissed. In the second case, the appellant is in custody since 11th January, 2009. He has been convicted by the trial court under Section 302 IPC and sentenced to undergo life imprisonment. His bail application has been dismissed by the High Court pending appeal. The appellants contend that, having regard to the long period of custody, they are entitled to bail as speedy trial is their fundamental right under Article 21 of the Constitution. 3. To consider the question as to the circumstances in which bail can be granted on the ground of delayed proceedings when a person is in custody, notice was also issued to learned Attorney General and Mr. Siddharth Luthra, Senior Advocate was appointed Amicus Curiae. 4. We have heard learned counsel for the parties, the learned amicus and the learned Additional Solicitor General. 5. During the hearing reference has been made to the decisions of this Court dealing with the issue and reference has also been made to Section 436A Cr.P.C. which provides for grant of bail when a person has undergone detention upto one half of maximum prescribed imprisonment. It was submitted that the said provision applies only during trial and the first case is not covered by the said provision as the appellant therein has not undergone the requisite detention period to claim bail under the said provision. 6. With regard to grant of bail, pending appeal, reference has been made to decisions of this Court in Akhtari Bi (Smt.) v. State of M.P. and Surinder Singh alias Shingara Singh v. State of Punjab which provides that if the appeal is not heard for 5 years, excluding the delay for which the accused himself is responsible, bail should normally be granted. The second case is not covered by the said judgment as the pending appeal in the High Court is of the year 2013. 11. Deprivation of personal liberty without ensuring speedy trial is not consistent with Article 21. While deprivation of personal liberty for some period may not be avoidable, period of deprivation pending trial/appeal cannot be unduly long. This Court has held that while a person in custody for a grave offence may not be released if trial is delayed, trial has to be expedited or bail has to be granted in such cases. 13. In Thana Singh v. Central Bureau of Narcotics this Court directed that liberal adjournments must be avoided and witnesses once produced must be examined on consecutive dates. Directions were also issued for setting up of sufficient laboratories, for disposal of seized narcotics drugs and for providing charge-sheets and other documents in electronic form in addition to hard copies of same to avoid delay. 15. Again in Imtiyaz Ahmad v. State of Uttar Pradesh and Ors. it was observed that long delay has the effect of blatant violation of rule of law and adverse impact on access to justice which is a fundamental right. Denial of this right undermines public confidence in justice delivery. These observations have been reiterated in recent Constitution Bench judgment in Anita Kushwaha etc. etc. v. Pushap Sudan etc. etc.. In the said judgment it was noticed that providing effective adjudicatory mechanism, reasonably accessible and speedy, was part of access to justice. 19. The position of five year old cases continues to be alarming in many States. Total number of more than five year old cases in subordinate courts at the end of the year 2015 is said to be 43,19,693 as noted in para 9 of the judgment of this Court dated 2nd January, 2017 in Imtiyaz Ahmad v. State of U.P. & Ors. [Criminal Appeal No. 254-262 of 2012]. Number of undertrials detained for more than five years at the end of the year 2015 is said to be 3599. Number of appeals pending in High Courts where detention period is beyond five years may be still higher. direct such person to appear before it within such period as may be specified in the order, and if such person fails to comply with such direction, he shall be tried in his absence. (2) Where in a case after the production or appearance of an accused before the Court or his release on bail, the accused person absconds or fails to appear, the procedure as laid down in sub-section (1) shall not apply and the Court competent to try such person for the offence complained of shall, recording its decision so to do, try such person in his absence.” (emphasis added) 22. It is for the concerned authority to take cognizance of the above amendment which may considerably reduce delay in cases where one or the other accused absconds during the trial. 23. Learned Amicus Curiae as well as learned Additional Solicitor General have suggested that monitoring by all High Courts is necessary to ensure minimizing adjournments at all levels, taking steps to remove obstacles in speedy trials including setting up of adequate number of laboratories, use of Video Conferencing to examine scientific experts or otherwise, appointment of public prosecutors, compliance of Section 207/208 Cr.P.C. by scanning/digitizing police reports, introduce system for electronic service of summons (wherever necessary), issuing timelines for disposal of bail matters at all levels. It has also been suggested that suitable amendments ought to be made in the Code of Criminal Procedure for permitting tendering evidence of medical witnesses on the pattern of Section 293 Cr.P.C. While we have discussed some of the issues germane to the subject of speedy trials, in view of directions already issued by this Court, issuance of further directions and monitoring of directions already issued is left to the concerned High Courts. 24. In view of the above, we do consider it necessary to direct that steps be taken forthwith by all concerned to effectuate the mandate of the fundamental right under Article 21 especially with regard to persons in custody in view of the directions already issued by this Court. It is desirable that each High Court frames its annual action plan fixing a tentative time limit for subordinate courts for deciding criminal trials of persons in custody and other long pending cases and monitors implementation of such timelines periodically. This may perhaps obviate the need for seeking directions in individual cases from this Court. 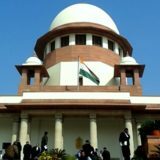 We also feel that it is desirable for Chief Justices of all the High Courts to take other steps consistent with the directions already issued by this Court for expeditious disposal of criminal appeals pending in High Courts where persons are in custody by fixing priority having regard to the time period of detention. We also reiterate the directions for setting up of adequate number of forensic laboratories at all levels. Specification of some of these issues is in addition to implementation of other steps including timely investigation, timely serving of summons on witnesses and accused, timely filing of charge-sheets and furnishing of copies of charge-sheets to the accused. These aspects need constant monitoring by High Courts. 25. One other aspect pointed out is the obstruction of Court proceedings by uncalled for strikes/abstaining of work by lawyers or frequent suspension of court work after condolence references. 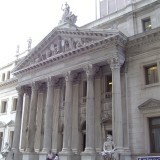 In view of judgment of this Court in Ex. Captain Harish Uppal versus Union of India, such suspension of work or strikes are clearly illegal and it is high time that the legal fraternity realizes its duty to the society which is the foremost. Condolence references can be once in while periodically say once in two/three months and not frequently. Hardship faced by witnesses if their evidence is not recorded on the day they are summoned or impact of delay on undertrials in custody on account of such avoidable interruptions of court proceedings is a matter of concern for any responsible body of professionals and they must take appropriate steps. In any case, this needs attention of all concerned authorities “ the Central Government/State Governments/Bar Councils/Bar Associations as well as the High Courts and ways and means ought to be found out to tackle this menace. Consistent with the above judgment, the High Courts must monitor this aspect strictly and take stringent measures as may be required in the interests of administration of justice. 26. Judicial service as well as legal service are not like any other services. They are missions for serving the society. The mission is not achieved if the litigant who is waiting in the queue does not get his turn for a long time. Chief Justices and Chief Ministers have resolved that all cases must be disposed of within five years which by any standard is quite a long time for a case to be decided in the first court. Decision of cases of undertrials in custody is one of the priority areas. There are obstructions at every level in enforcement of right of speedy trial “ vested interests or unscrupulous elements try to delay the proceedings. Lack of infrastructure is another handicap. Inspite of all odds, determined efforts are required at every level for success of the mission. Ways and means have to be found out by constant thinking and monitoring. Presiding Officer of a court cannot rest in the state of helplessness. This is the constitutional responsibility of the State to provide necessary infrastructure and of the High Courts to monitor the functioning of subordinate courts to ensure timely disposal of cases. The first step in this direction is preparation of an appropriate action plan at the level of the High Court and thereafter at the level of each and every individual judicial officer. Implementation of the action plan will require serious efforts and constant monitoring. 27. To sum up: (i) The High Courts may issue directions to subordinate courts that “ (a) Bail applications be disposed of normally within one week; (b) Magisterial trials, where accused are in custody, be normally concluded within six months and sessions trials where accused are in custody be normally concluded within two years; (c) Efforts be made to dispose of all cases which are five years old by the end of the year; (d) As a supplement to Section 436A, but consistent with the spirit thereof, if an undertrial has completed period of custody in excess of the sentence likely to be awarded if conviction is recorded such undertrial must be released on personal bond. Such an assessment must be made by the concerned trial courts from time to time; (e) The above timelines may be the touchstone for assessment of judicial performance in annual confidential reports. (emphasis added) (ii) The High Courts are requested to ensure that bail applications filed before them are decided as far as possible within one month and criminal appeals where accused are in custody for more than five years are concluded at the earliest; (iii) The High Courts may prepare, issue and monitor appropriate action plans for the subordinate courts; (iv) The High Courts may monitor steps for speedy investigation and trials on administrative and judicial side from time to time; (v) The High Courts may take such stringent measures as may be found necessary in the light of judgment of this Court in Ex. Captain Harish Uppal (supra) . 28. Accordingly, we request the Chief Justices of all High Courts to forthwith take appropriate steps consistent with the directions of this Court in Hussain Ara Khatoon (1995) 5 SCC 326) (supra), Akhtari Bi (Smt.) (supra), Noor Mohammed (supra), Thana Singh (supra), S.C. Legal Aid Committee (supra), Imtiaz Ahmad (supra), Ex. Captain Harish Uppal (supra) and Resolution of Chief Justices’ Conference and observations hereinabove and to have appropriate monitoring mechanism in place on the administrative side as well as on the judicial side for speeding up disposal of cases of undertrials pending in subordinate courts and appeals pending in the High Courts. We place on record our appreciation for the valuable assistance rendered by Mr. Atmaram N.S. Nadkarni, learned Additional Solicitor General and Mr. Siddharth Luthra, learned Senior Advocate. A copy of this order be sent to all the courts. ……J. [ Uday Umesh Lalit ] NEW DELHI; MARCH 9, 2017. ———————–   (2001) 4 SCC 355   (2005) 7 SCC 387   (1992) 1 SCC 225 “ Para 86   Hussainara Khatoon and ors (IV) v. Home Secreta?